Bruce Rickard's Marshall house at Clontarf, 1967. Photo Michael Wee. 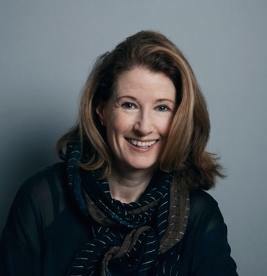 Editor Karen McCartney. Photo Hugh Stewart. Projects by Douglas Snelling are accidentally absent from design editor Karen McCartney's two popular illustrated books on Iconic Australian Houses. 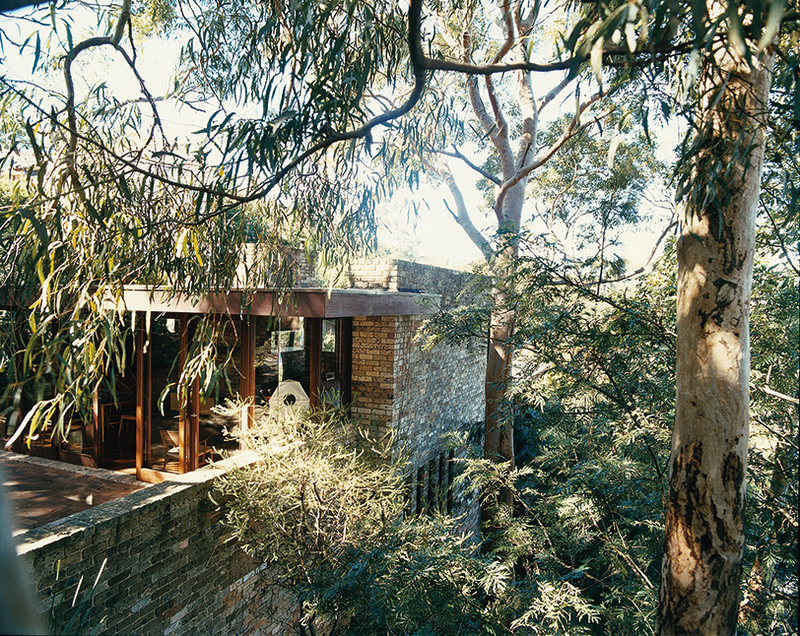 But her selection of 29 architect-designed residences from the 1950s to the 1990s is worth inspecting at the Museum of Sydney from 12 April 2014. McCartney, a former editor of InsideOut magazine and current editorial director of online retailer Temple&Webster, is a co-owner of Bruce Rickard's 1967 Marshall house, a small (160 sq m) exposed brick residence overlooking Middle Harbour at Clontarf. She and her husband, design writer David Harrison, have carefully chosen mainly 1960s and 1970s furniture and artefacts for their cliffside retreat. 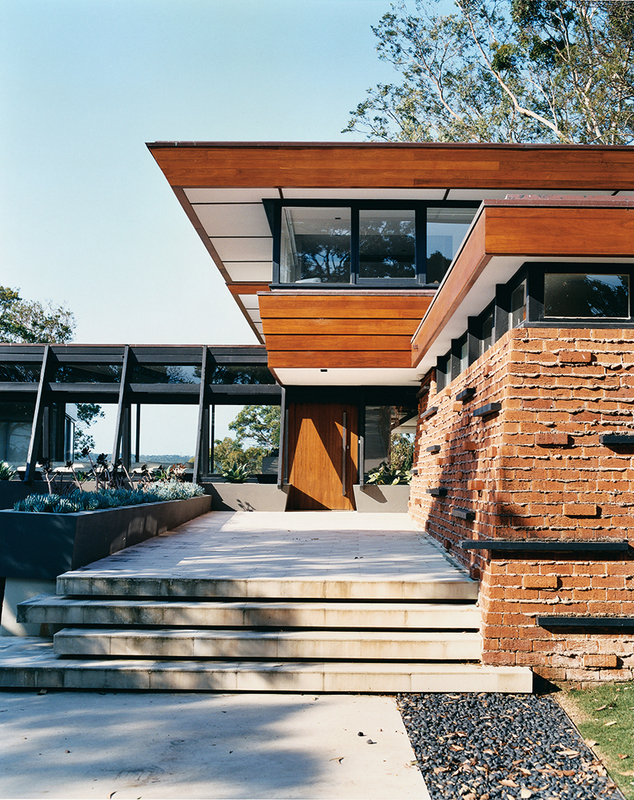 Noting broad interest among young professionals in discovering modern Australian architecture and design, she decided in the mid 2000s to produce the first Iconic Australian Houses: 50s/60s/70s book. Since the launch by Murdoch Books in 2009, it has sold more than 13,000 copies in hardcover. Another 3000 copies have just been released in softcover, following strong sales of the second volume of the series, Iconic Australian Houses 70s/80s/90s. 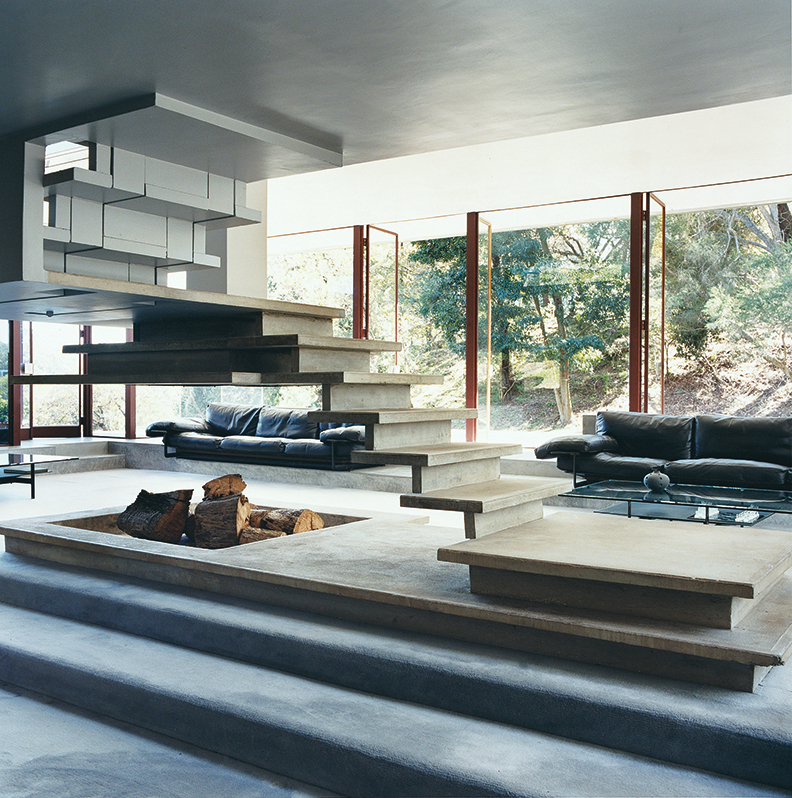 Neville Gruzman's Rosenburg/Hills house at Turramurra, 1966. Photo Michael Wee. For the MOS exhibition, McCartney has teamed with former University of Newcastle architecture professor Lindsay Johnson, founder of the Australian Foundation for Architecture, to broaden awareness of the houses and architects she selected for her books. Included are works by Rickard and his cousin, Neville Gruzman, Peter Muller, Hugh Buhrich, Harry Seidler, Glenn Murcutt, Richard Leplastrier, Russell Jack, Peter Stutchbury and others. The exhibition was produced by a Sydney Living Museum team advised by designer Tracy Lines. The original photographs, by Michael Wee, appear in panel displays, on iPads and in sample copies of the books, while floor plans have been given augmented reality (AR-3D) treatments for viewing on screen, and visitors can access video interviews of architects and occupants of selected houses. Audette house at Castlecrag by Peter Muller 1953. Photo Michael Wee. During research, she learned that Australian architects had been 'struggling' to find an authentic and internationally distinctive design approach and cultural value system before 'something just clicked' in the 1950s. 'Architects suddenly found they were able to use the landscape in a meaningful way,' she said.